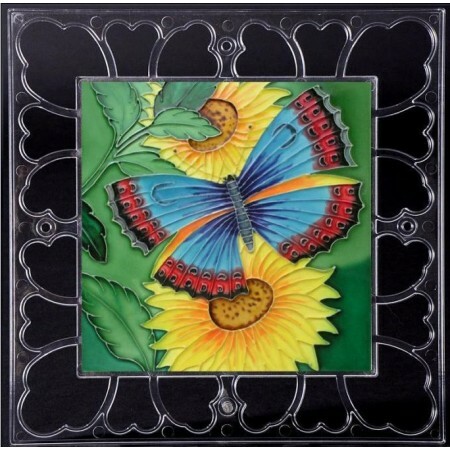 This 8” x 8” ceramic art tile is framed in a beautiful Acrylic Transparent Frame with an overall dimension of 12" x 12". This will make a lovely decoration for any room: business office, dining room, kitchen, children's room, living room, museum, and gallery. 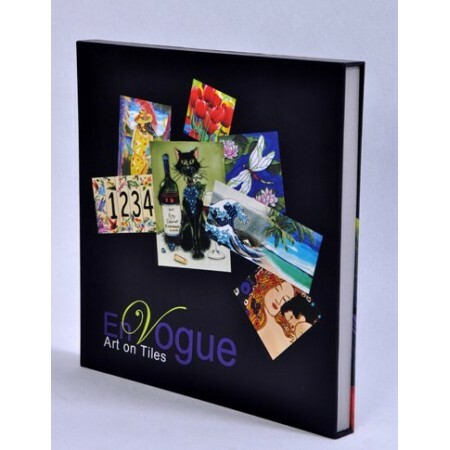 Each Frame can be easily hung on a wall or stood on a table or any flat surface using the built-in easel on the back. The tile has three-dimensional contour lines that are hard to see by the picture image alone. The actual art tile has elevated outlines that you can feel, almost like reliefs. The hand painted ceramic is unique in its glazed shiny finish. It will sparkle as it reflects any lighting through the transparent glass-like glaze which is unseen in photocopies or pictures. 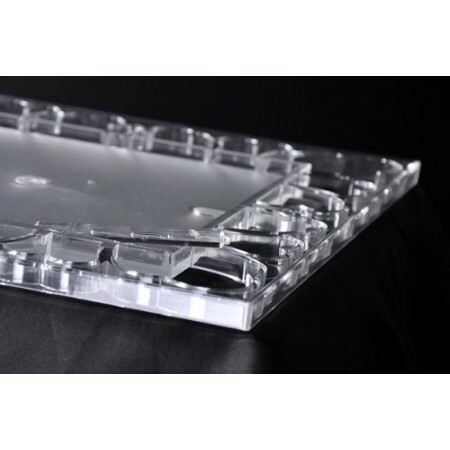 It is very classy, elegant and luxurious and all brighten up any room or office. Free Built-in Stand & FREE Gift Box Included! Return policy: FINAL SALE, and are not eligible for return, refund or exchange.